This website contains general information about a specific sleep issue. The information is not advice, and should not be treated as such. Please seek advice from a medical practitioner if you need help identifying serious conditions such as Obstructive Sleep Apnea. It's always recommended that you get the condition correctly diagnosed by a doctor before using a third-party product. 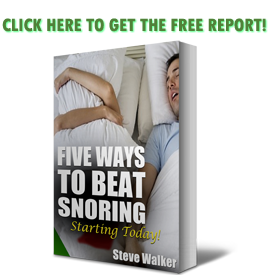 Snoringmouthpiecereview.org is a participant in the Amazon Services LLC Associates Program, as an affiliate advertising program designed to provide a means for sites to earn advertising fees by advertising and linking to Amazon.com. The site may also participate in other affiliate advertising programs, which are subject to similar terms as the Amazon Associates program. The owners' opinion about a product or service may be partially formed in part on the fact that the owner is likely to receive compensation for the product or service. The nature of the relationship is sufficient to establish a material connection between the owner and the provider. There will be instances where the owner will not receive compensation relating to the products or services on this website. You should assume that the owner has a material relationship with the product or services suppliers, because the owner has received or is likely to receive something of monetary value from the supplier. You should always perform your own due diligence before purchasing a product or service mentioned on this website.